Everything from the graphics you see on your favorite websites to the billboards in Times Square are created by graphics designers. These professionals are artists in their own right, and their work can inspire millions to watch a movie, buy a product, or adopt an idea. The possibilities are endless. 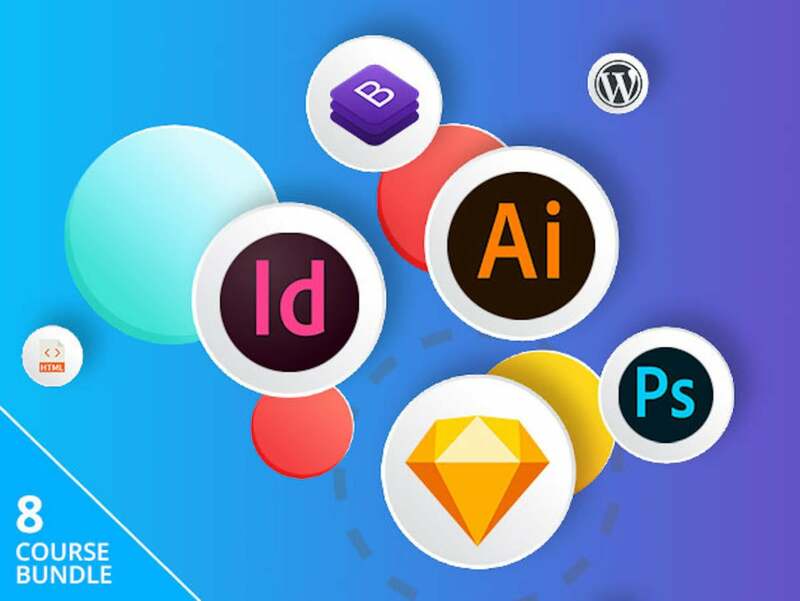 If you aspire to create influential graphics, this Complete Learn To Design Bundle provides tips and tricks on how to do so for $39, or 96% off. This bundle contains 8 courses dedicated to different graphic design methods. For example, it contains courses for Adobe InDesign, Photoshop, and Illustrator, which can be used to create attractive typography, touch up photos, and illustrate vector graphics. You’ll also find Sketch App: Modern UI Design, which focuses on how to design aesthetically pleasing user interfaces for apps. You’ll also find courses on how to design websites in this bundle. For example, Wordpress Web Design With Elementor: Beginner To Advanced walks you through the basics of Elementor, a simple tool for designing WordPress page layouts. If you have some coding experience under your belt, you can refer to Intro To HTML & CSS: Web Development For Beginners, which teaches how to use these two languages to maintain full control over the appearance and layout of your website. The courses in the Complete Learn To Design Bundle range from $19.99 up to $199.99, but you can buy all 8 courses here for $39. This story, "This Graphic Design Training Bundle Is Just $39 Today" was originally published by Macworld.